Stylish Bead Handle - Beaded Handle Series. 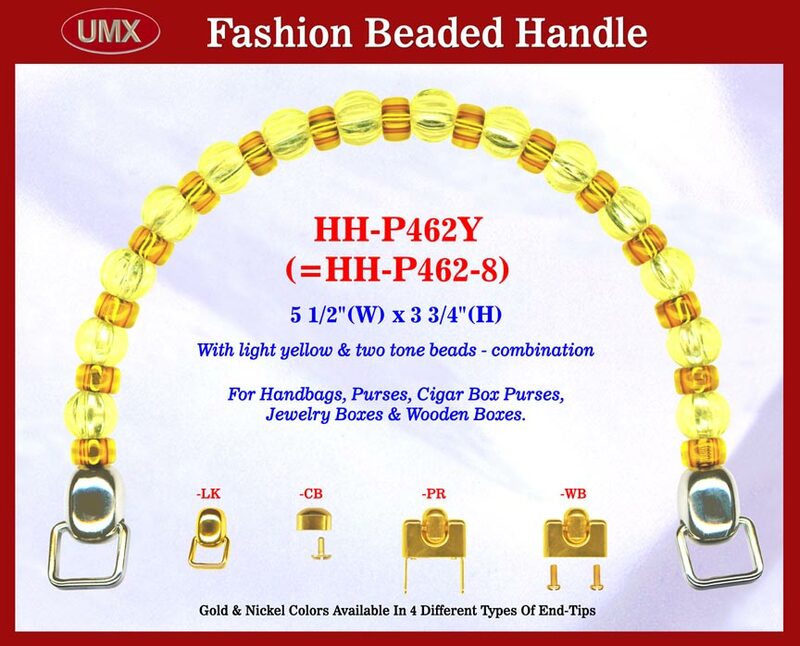 Stylish, colorful handbag handle with beads and with easy to install handbag hooks. We will keep hunting for new beads made of wood, plastic, metal, bamboo etc.. Just call our sales department for more info about the beads available for your new fashion handbag designs. With 15/32" (D) beads and 3/8" two tone beads.